My ambition to devote my life to Neurosurgery had already began while I was attending the Department of Neurology and General Surgery, at the Mauritius Hospital in Turin during my third year at the University of Medicine and Surgery. After graduating in 1976, at the age of 24, I started attending Prof. Fasano's Department of Neurosurgery at San Giovanni Battista Hospital inTurin (the department to which I dedicated my neurosurgical life until 2011), initially as an intern, as an assistant from 1977, and achieving a Specialization in Neurosurgery in 1984. I continued my professional career at the Department of Neurosurgery, from 2011, at the CTO Hospital in Turin, until my retirement in 2012. 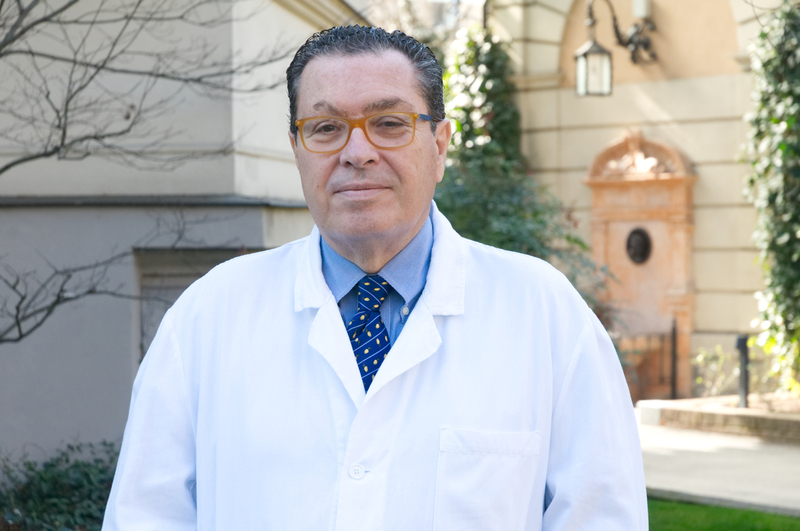 Passion for neurosurgical activity, and Dr. Faccani's kind availability, allowed me to attend the Neurosurgery Department as a volunteer medical specialist until 2016, mainly collaborating with Prof. Franco Benech. My neurosurgical experience consists of about 4000 surgeries (both as performer, collaborator and as tutor) dedicated to all fields of neurosurgery (mainly neurosurgery of brain tumors, medullary spinal tumors, degenerative spinal surgery, as well as head and spinal trauma, and vascular neurosurgery). From 2005 to 2011, I conducted academic activities as Professor of Surgery of spinal column Degenerative diseases, at the Neurosurgery Graduate School. My scientific activity includes about 50 publications in national and international journals. I have attended approximately 150 national and international conferences and courses. My unwaivable passion for Neurosurgery is still being realized with Prof. Benech, at the Fornaca Clinic in Sessant, as a part of the team for innumerable years. This includes Dr. Carlo Alberto Benech, Dr. Rosa Perez and Dr. Maurizio Berardino as freelencers; and recently at the Clinical Institute of Valle d'Aosta in Saint Pierre, under an insured private agreement.